Irwin Hunter & Co seed is a wholesale distribution company specialising in the supply of quality pasture and forage seed available to farmers through the extensive reseller network including corporate and independent stores throughout Western Australia. 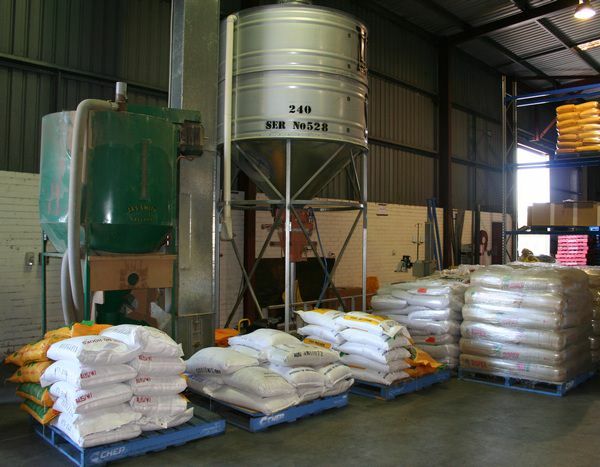 Our focus is on minimising handling and associated costs, and we engage the services of a specialised third party warehousing and distribution company that can handle the range of products and facilitate the seasonal factors that come with agriculture. This reduces the necessity for reseller companies to hold large inventories in a multiple number of locations thereby reducing their costs and the amount of carryover stocks. This assists in controlling seed quality and reduces the risk of storing seed in what may be inappropriate storage within and between seasons.